United operates two dedicated sub-fleets configured with lie-flat (flatbed) seats for domestic flights: Boeing 757-200 aircraft and 777-200 “High Density” aircraft. Additional details on those configurations – including seat maps – can be found at the end of the post. ⭐ Did you know United’s Newark (EWR) to San Juan (SJU) flight is operated on a Boeing 767-400? Formerly known as p.s. (Premium Service), United’s ‘Transcontinental Service’ – swanky name, I know – now includes flights from Boston (BOS) to San Francisco (SFO). Most transcontinental flights are operated by one of two 757-200 variants – both with the same Diamond seat. The 777-200 HD also operates on select flights, including Boston. The densely-configured 777-200 HD was designed for leisure-heavy routes like Hawaii. From Honolulu (HNL), United flies lie-flat 777-200s on select flights to Los Angeles (LAX) and San Francisco (SFO); and daily to Denver (DEN), Chicago (ORD), Guam (GUM) and Houston (IAH). United also operates widebody aircraft on hub-to-hub routes. These flights are commonly referred to as “positioning” or “repositioning” flights. Rather than having the aircraft sit on the ground waiting for an international departure, United rotates certain aircraft between hubs to increase fleet utilization. The biggest ‘surprise’ widebody route is United’s Newark (EWR) to San Juan (SJU). 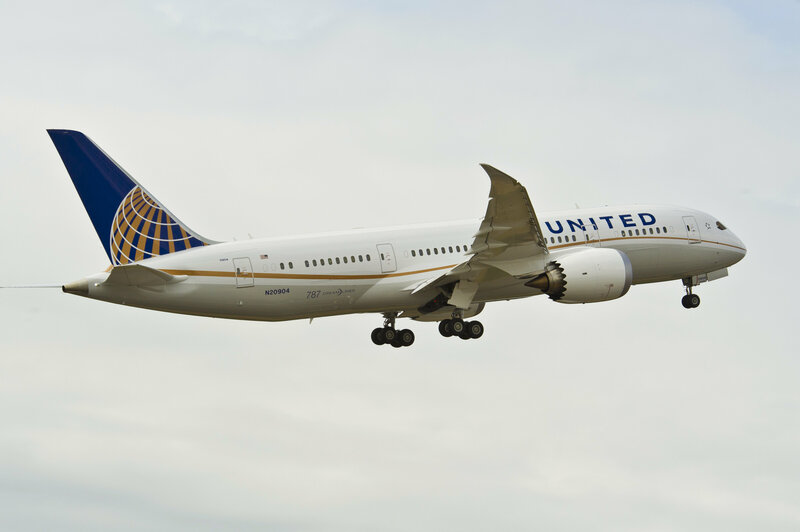 United announced an expanded partnership with DHL in 2016; to meet increased cargo demand United added widebody aircraft on one of its flights between San Juan and its Newark hub. The fully flat seats are the decade-old B/E Diamond seat, seen below. The same seat is found on United’s Boeing 787 Dreamliners and “ex-Continental” Boeing 757s, Boeing 767s, and Boeing 777s. 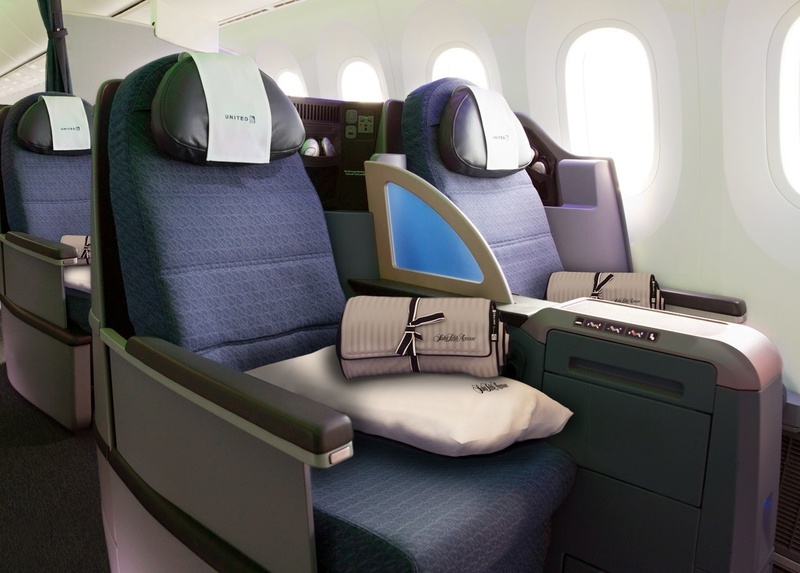 The Diamond seat is also on Version 2 of the Boeing 767-300ER aircraft in a 2 x 1 x 2 configuration. Version 3 of the 777-200 (“HD” / High Density) has 28 lie-flat seats arranged in an extremely cozy 2 x 4 x 2 configuration. The 777 HD mainly operates to/from Hawaii but is also being used this summer for three international routes from Newark (EWR): Barcelona (BCN), Dublin (DUB), and Madrid (MAD). Nice work! FYI EWRHNL is back to 764 after briefly operating with 763 last year. Thanks for the correction, Gene. I flipped EWR and IAD – apologies 🙂 It looks like IAD – HNL is seeing the occasional Polaris-equipped 763! Thanks, Robert! Appreciate the feedback.